Now that the hype concerning the recent viral internet craze the ‘ice bucket challenge’ seems to have subsided, we can analyse how successful the campaign has been in raising attention and awareness of one of the charities concerned. Many may argue that the original premise of the video can be attributed to the ‘ALS’ charity. However, another charity that many participants credited their involvement and donation to is ‘Macmillan Cancer Support’. Macmillan recently topped YouGov’s mid-year charity rankings, so it is clear that the organisation already holds a very positive position within the public consciousness. But has the recent campaign helped them further still? We can look to YouGov’s Charity Index to provide the answers. The key point is that the ice bucket challenge has proved extremely successful in driving perceptions of Macmillan across a range of metrics, in fact improvements are seen for the majority. The most revealing is in the brands ‘Buzz Score’. 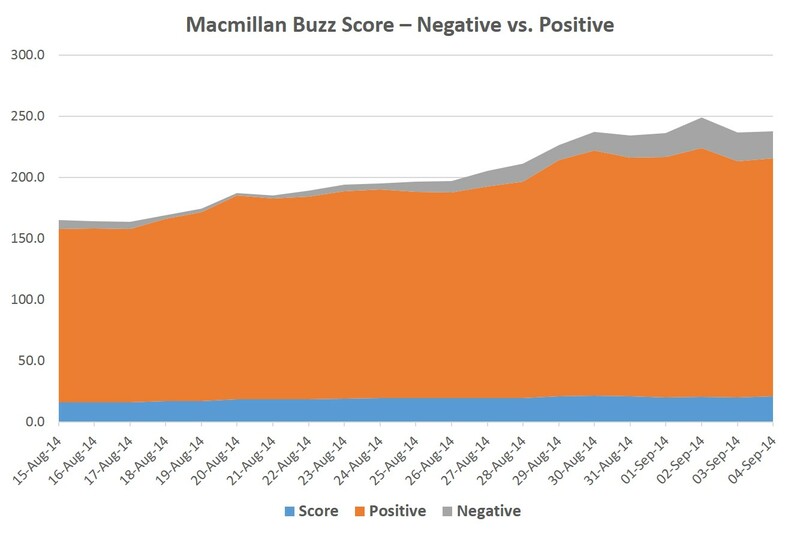 The table shows that Macmillan’s overall buzz score grew during the period the challenge went viral. The score rose from 16.2 to 20.8 during the time, a key indicator the campaign worked. However, the fact the negative rating also increased possibly suggests that some respondents heard unfavourable headlines or content suggesting the charity had chosen to incorporate itself into a movement attributed to ALS. If we consider other YouGov metrics we can further underline the impact the craze had. 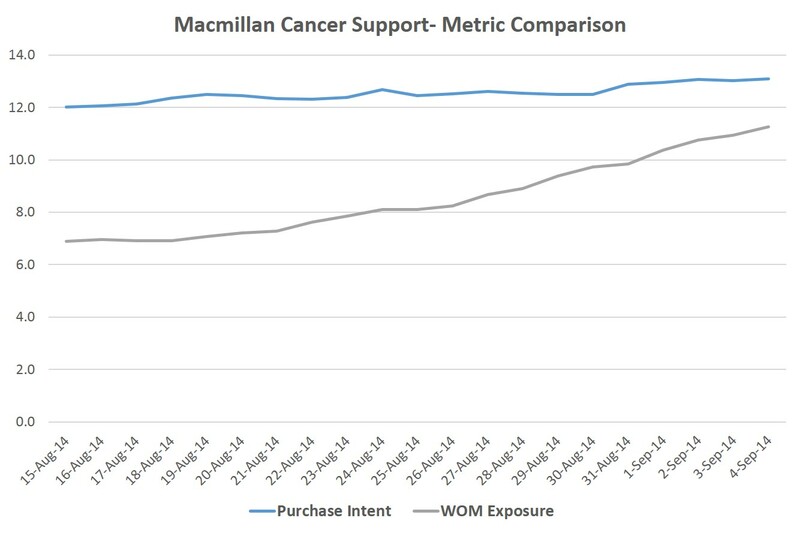 YouGov’s Charity Index’s WOM (Word of Mouth) metric illustrates whether a person has heard or discussed a charity with or from friends. Again, during the relevant time period, we seen an increase in Macmillan’s scores. The value rose from 6.9 to 11.3 in fact. So what effect has the challenge had on the crucial underlying aspect, namely, an increase in donations to the charity? To answer this we can look at our purchase intent metrics which has increased on the back of the campaign. The Intent metric, which measures how likely a person is to donate, is up from 12.0 to 13.1. While this may be an incremental rise, it does suggest the hype and attention the charity achieved will translate into more money donated. The lesson therefore, is that viral campaigns can capture public imagination and promote greater fundraising, the key is to do so without antagonising other charities and supporters of other causes.